Thank you to the author, Milo Swanton, for participating in the blog tour as well as Shweta at Fallen For Books for organizing the blog tour! For about the first 30% of the book, I was so confused. It sort of reminded me of reading any of Agatha Christie's books or The Westing Game. There were just so many characters that were thrown at you and you had to keep them all straight in your head. So it got a bit crazy! After that though, I started to pick up on things and realize who was important and vital to the story and who wasn't as much. Kudos to the author though for the amazing world-building! In the front of the book, there was a map of the region and in the back, a glossary and index of all the unfamiliar words, terms, and people (and their relationship to other people). That was extraordinarily helpful once I got to the end and realized it was there. It just reminds me of the LOTR series how Mr. Tolkien created his own world and even a language to go along with it. Everything was just so real and you could tell that the author was really immersed in their own little world. Also, once you get to the whole Cain part (I won't say more or I'll spoil), it gets pretty interesting because it isn't just all about the clan peace anymore. It's about their ancestry and understanding and knowledge. A solid book with fantastic world-building and an interesting plot. The beginning was a bit confusing but if you can handle Agatha Christie books or The Westing Game, you're in for a treat! 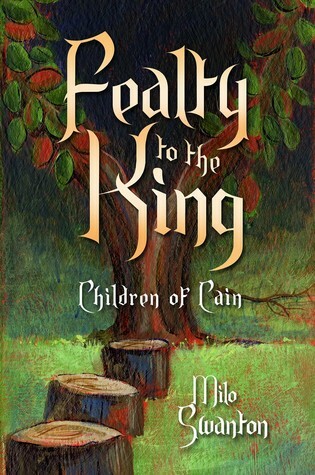 Sign into Goodreads to see if any of your friends have read Fealty to the King.